Spiritual healing is a topic that is gaining popularity. A quick Internet search shows that people from all segments of society are showing interest in it. While, people in general are more familiar with spiritual healing, for many, what exactly spiritual healing is and what principles underlie it remains a mystery. As per our spiritual research, the basic principle behind any method of spiritual healing is to increase spiritual purity (Sattva) and reduce spiritual impurity (Raja-Tama). Spiritual healing can be done on ourselves or on others. While it may seem appealing to visit someone for spiritual healing, our spiritual research has shown that it is better to perform spiritual healing on ourselves most of the time. 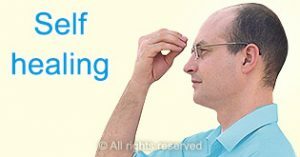 There are some simple and easy methods to heal oneself spiritually that anyone can practice for free given on SSRF and many have benefited from them. In addition, doing regular spiritual practice is also a form of spiritual healing. In fact, doing appropriate spiritual practice is the most sustainable long term spiritual healing method since it increases our spiritual capacity to overcome spiritual negativity from within. 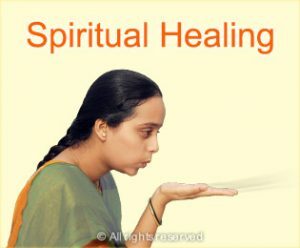 In this section, we explain the different principles that underlie spiritual healing and some answer some common questions that people have about it. Any effective method of spiritual healing will increase the spiritually pure Sattva component within us and reduce the spiritually impure Raja-Tama components. Let us take an example of someone attacked by negative energies. The attack increases the subtle Raja-Tama components around them and can cause a variety of problems in their life. By doing correct methods of spiritual healing, the Raja-Tama reduces, the person feels better and the problems reduce. Most of us are familiar with looking after our physical and psychological wellbeing. 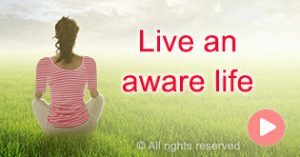 However, most of us are not aware that the spiritual dimension has a large impact on us and that looking after our spiritual wellbeing is key to leading a happy life. 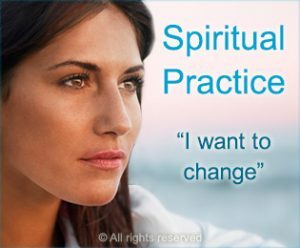 Taking the spiritual dimension into account by doing appropriate spiritual practice and spiritual healing can help to overcome unexplained problems that many of us face regularly. We may go and get spiritual healing done on us and expect that we will feel better. 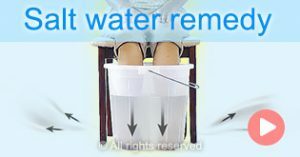 It is important to keep in mind that the effectiveness of spiritual healing remedies depends on many factors. For example, doing regular and appropriate spiritual practice makes spiritual healing remedies far more effective. How many of you have heard of someone who has a chronic medical condition that can be controlled with medicine but not cured? Odds are someone in your family or in a friend or colleague’s family has such a condition. The reason this can happen is that up to 80% of the root cause of why a person gets a disease is spiritual in nature. This is why it is important to take the spiritual dimension into account when treating illnesses. Spiritual healing is a vast subject and anyone looking for spiritual healing may find themselves a little overwhelmed by the different options available. 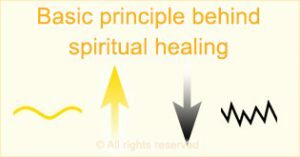 To simplify things, it is useful to categorise methods of spiritual healing into broad groups along with the benefits and downsides of each group. There are many objects used for spiritual healing such as stones, crystals, amulets, etc. 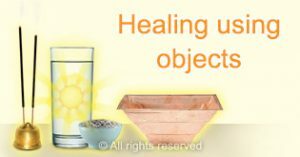 Each of these objects has a different capacity and method of healing and this explained in more detail in this article. In current times, about 30% of healers are spiritually positive, while 70% of them heal under the influence of negative energies. Healing done by a healer under the influence of negative energies can actually harm us at a subtle level. In the case of spiritually positive healers, their ability to heal increases with their spiritual level, because one’s access to Universal positive energies increases as one’s spiritual level rises. Understanding the effect of a spiritual healing remedy is not a simple thing because many factors are at play. These include the strength of the ghost affecting the person, how much control the ghost has over the person, the spiritual level of the healer and more. 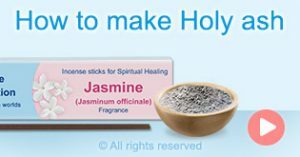 Only a Saint or a seeker working under the direct guidance of a Saint are in a position to interpret the effect of a spiritual healing remedy. How should a spiritual healer go about healing? Spiritual healing for its own sake can lead to stagnation of the healer and a decline in their spiritual level with time. Instead, we recommend that spiritual healers focus on healing sincere seekers of God who are in need of spiritual healing. In this way, the healer is helping seekers to make spiritual progress, which is one of the basic purposes of life. It is natural to have questions about a topic as vast as spiritual healing. Some of the most common questions we get from our readers and the answers to them are given in this article.